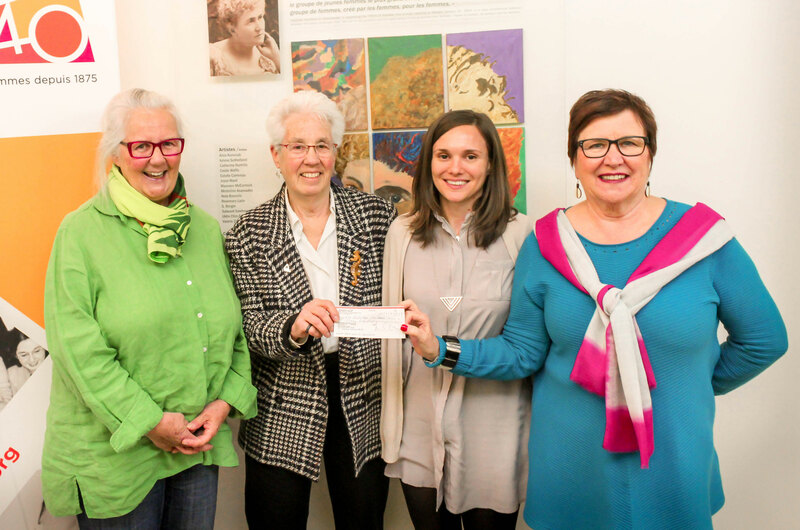 The YWCA Montreal has recently received a donation from the “Camp Oolahwan Centenary Committee” which in 2017 will mark the 100th anniversary of the founding of Camp Oolahwan. Ms. Suzanne Bernardin, a former counsellor, along with Ms. Leslie Cotton, a former camper, both at Camp Oolahwan during the 1960s, came in person to present a cheque dedicated to the young participants of Camp Splash 2016. Offered on behalf of former Camp Oolahwan campers in memory of Mary Susanne Edgar, this donation will provide continuing support to YWCA Montreal camps in the development of girl’s leadership and self-esteem. From 1917 to 2005, Camp Oolahwan, located in Lac Masson, welcomed thousands of young girls, with diverse activities created to encourage their personal growth. Since 2007, Camp Splash has continued this mission each summer by providing two 3-week sessions of camp activities for girls, in July and August. Thanks to this donation, Camp Splash 2016 participants will benefit from a visit at Parc-Nature-de-la-Visitation, including survival skills, how to use a compass and net fishing! This excursion is organized by the Groupe uni des éducateurs-naturalistes et professionnels en environnement (GUEPE). For parents of girls who are interested in attending Camp Splash, registration is underway.